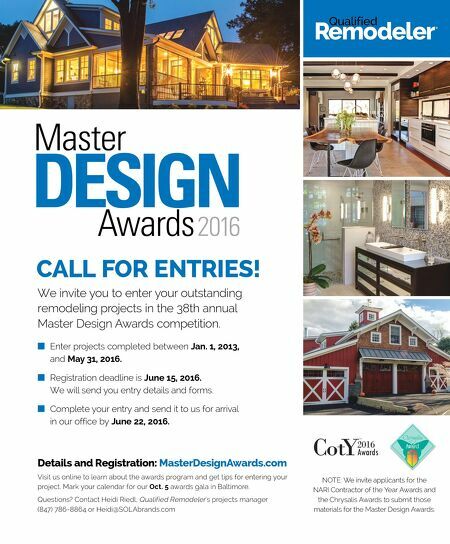 We invite you to enter your outstanding remodeling projects in the 38th annual Master Design Awards competition. 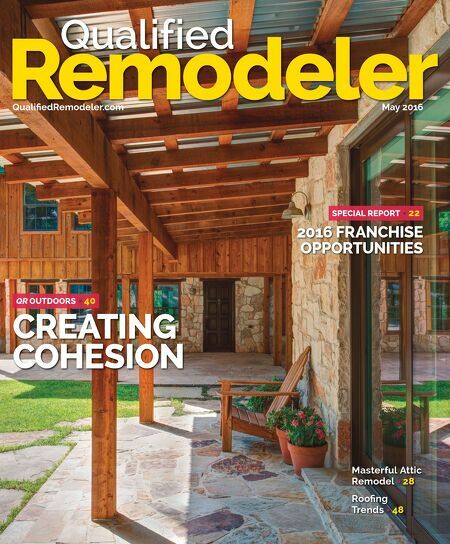 ■ Enter projects completed between Jan. 1, 2013, and May 31, 2016. ■ Registration deadline is June 15, 2016. We will send you entry details and forms. ■ Complete your entry and send it to us for arrival in our office by June 22, 2016. CALL FOR ENTRIES! Details and Registration: MasterDesignAwards.com Visit us online to learn about the awards program and get tips for entering your project. Mark your calendar for our Oct. 5 awards gala in Baltimore. Questions? Contact Heidi Riedl, Qualified Remodeler 's projects manager (847) 786-8864 or Heidi@SOLAbrands.com NOTE: We invite applicants for the NARI Contractor of the Year Awards and the Chrysalis Awards to submit those materials for the Master Design Awards.